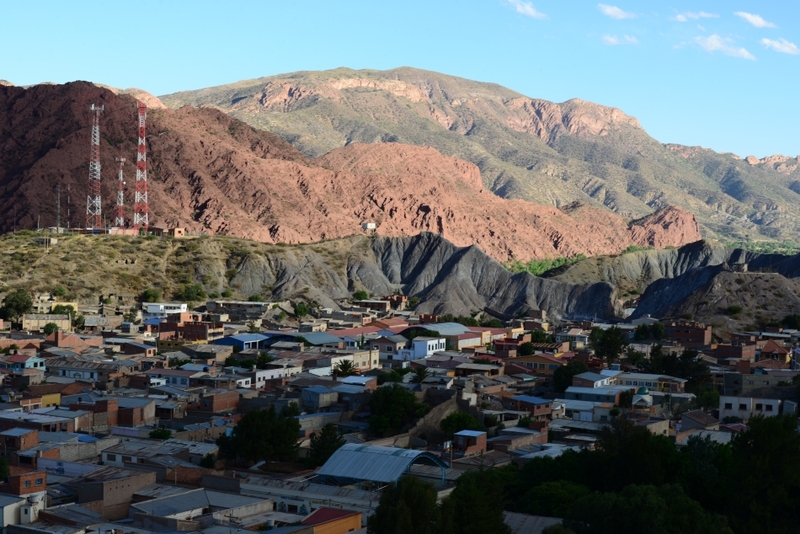 Tupiza is a tranquil town surrounded by mountains and canyons at about 3000m above sea level. Compared to Uyuni, according to many Tupiza is a much better departure point for the Southwest Citcuit and Salt Flat Tour. As a result, we chose Tupiza over Uyuni. Besides, Tupiza itself also offers much nicer landscape nearby for day hikes. By the time we arrived at our hotel in Tupiza, it was already late afternoon. 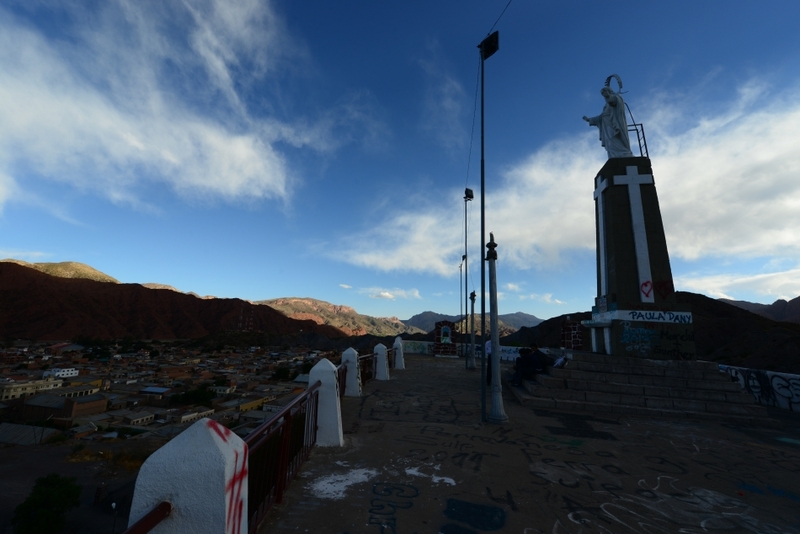 We did a short hike up Cerro Corazon de Jesus, a hilltop overlooking the town of Tupiza. 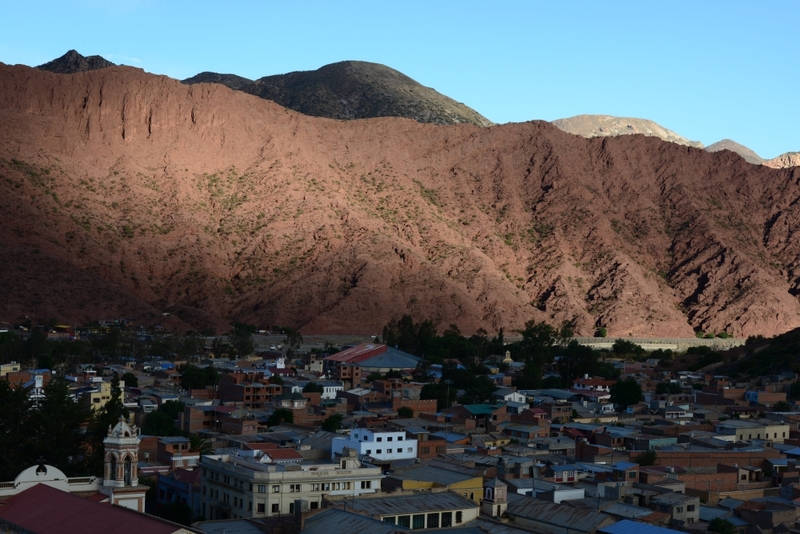 With the low angle sunlight of late afternoon, the colourful mountains surrounding the town were truly spectacular. This entry was posted on November 17, 2013 by Blue Lapis Road. It was filed under Bolivia, Day 31 to 40, Southwest Altiplano and was tagged with Bolivia, landscape, Tupiza.